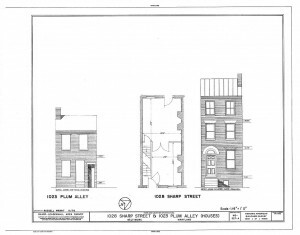 The Baltimore Architecture Foundation (BAF) will host a day-long symposium, From Dollar House Programs to Vacants to Value Strategies: 40 years of Reinventing Baltimore’s Urban Neighborhoods September 29, 2012 at the Old Otterbein Church, , Baltimore 21201. This public event will examine past government programs which successfully spurred revitalization of Baltimore’s historic communities and consider how the lessons learned from those programs continue to be relevant today. The internationally recognized Dollar House Program began in 1973 and instantly captured the nation’s attention as a revitalization tool. It helped revive abandoned and neglected Baltimore neighborhoods, including Barre Circle, the Otterbein, and Stirling Street. 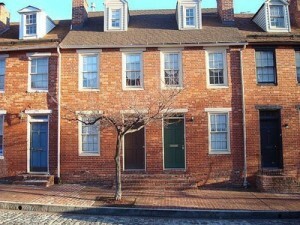 The program’s success spurred a surge in urban homesteading, resulting in the redevelopment of nearby Baltimore neighborhoods such as Federal Hill. Here houses were sold at modest prices-much more than one dollar-to individual buyers who then invested their own money and sweat equity to rejuvenate the dilapidated housing stock, meanwhile collectively rebuilding the neighborhood into a desirable place in which to live and enjoy developing urban amenities. What accounted for the Dollar House Program’s successes? The simplicity of the idea of the Dollar House program resonated with buyers-become an urban pioneer by purchasing this deteriorating building for one dollar and then renovating it with low-interest government loans to become your home. But, in fact, program successes were the result of careful planning by local, state, and federal government agencies, attention to detail lavished upon the communities through infrastructure planning and design guidelines, and extensive amounts of guidance for the new homeowners by City agency personnel. Dedicated funding from the City and the federal government, the availability of a large number of City or HUD-owned properties, and the installation new infrastructure-sewer and water lines, streetscaping and street repaving, park planning and installation-were key to the successful rehabilitation of the whole neighborhoods or Barre Circle and the Otterbein. As neighborhood revitalization continues to be an issue in Baltimore City and other urbanized areas across the country, people remember the success of the Dollar House Program and wonder why it has not been resurrected as a solution to today’s desire to revitalize communities. Are there elements of this program that can usefully be replicated 40 years later? How do other current programs, like Healthy Neighborhoods and Vacants to Value, spur neighborhood rejuvenation? Are there lessons to be learned from each of these programs that can spark the excitement about urban homesteading that was manifest in the Dollar House program? 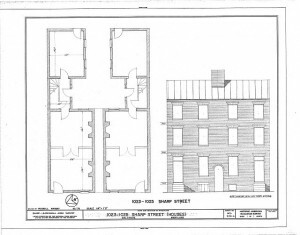 While participants in the Dollar House program were pleased to receive a house for one dollar and have available low-interest government loans to renovate the house, the sense of participating in community building to create a vital, lively, exciting urban neighborhood was equally important to them. On September 29th, the morning symposium will feature speakers Paul Graziano, Executive Director of the Housing Authority of Baltimore City and Commissioner of the Baltimore City Department of Housing and Community Development; Robert Embry, now President of the Abell Foundation, who conceived and nurtured the Dollar House program for Baltimore; Jack Lapides, who was instrumental in providing government support; and Mark Sissman, who leads Baltimore’s Healthy Neighborhoods program, another successful model for community revitalization. In the afternoon, participants will take a guided bus tour to visit the Otterbein, Barre Circle, Stirling Street, Federal Hill and others neighborhoods. The event costs $25 for individuals, $15 for students with valid student id, and $75 for architects and planners who anticipate using the symposium’s CEU. The admission charge will include printed and web-based materials, lunch, and the bus tour. Registration will be limited to 150 persons. Prior registration is required for attendance. To register click the Tickets Available Now link below. Bob Embry, President, The Abell Foundation, who developed and implemented Baltimore’s Dollar House program, will discuss the Dollar House Program-its history, the way it worked, and its successes. Mark Sissman, Director of the Baltimore’s Healthy Neighborhoods Program, will discuss the philosophy behind that program, how it works, and its successes. Paul Graziano, Executive Director of the Housing Authority of Baltimore City and Commissioner of the Baltimore City Department of Housing and Community Development. will discuss the goals of the Vacants to Value program, its policies and procedures, its successes to date and continuing challenges. Opportunity for the audience to write down questions for the panel. Panel discussion moderated by Charlie Duff. Displays will be set up there for review.